When presented with a sparkling, brand-new website that looks great and functions perfectly, it’s easy to assume that you’ve done all you can for the online side of your business. Your customers can find you, they can buy your products from the comfort of their own homes or even on the go using their smartphones - what more is there to be done? But setting up your company's site is really just phase one! Now that it's live, you need to come up with a plan of action that centres on how to get the most out of your website. Falling into a rut with your website is not only damaging for the website, it could potentially impact your business on a larger scale. In order to guide you past this pitfall, we’ve put together a few tips to help you get the most out of your website. If your website includes a blog, you should ensure that it is updated frequently with engaging content. If your blog is left stagnant or updated less than, say, once a month, it will not drive traffic like it ought to and it may even end up harming rather than helping your online success. By creating new and engaging content on a regular basis, you will be able to draw in new customers and rank for new keywords. 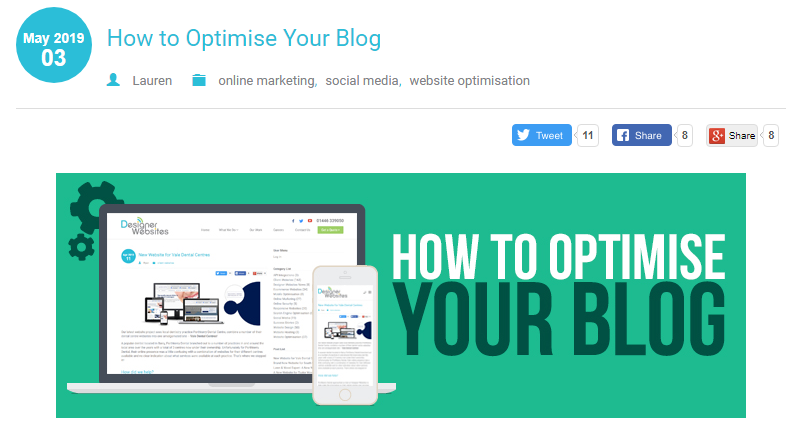 Similar to your blog section, if you have links on your website to company social media accounts (e.g. Twitter, Facebook, LinkedIn), make sure these accounts are updated frequently. Social media is a vastly important tool for any online business, so by neglecting it, not only will you certainly not get the most out of your website, you may also damage people's perception of your brand in the process. Just think about it - if someone spots that your last tweet went out nearly a year ago, they may worry that you've gone out of business and cease to feel confident enough to buy from you! If you want to learn more about why social media marketing is so important for modern businesses, you can read all about it in our recent blog post on the topic. Updating your pages and products frequently is a great way to keep customers/visitors interested and your business running smoothly. However, if you decide to delete a page, you should consider adding a 301 redirect to ensure that anyone trying to access that page in future is redirected to a relevant page that still exists (rather than seeing a 'page not found' 404 error notice). If you have moved a piece of content from one URL to another, use a 301 redirect so that anyone who enters the old URL will automatically arrive on the new one. If you have deleted a piece of content outright, but you have another page that meets the user's needs equally well, you can redirect the old URL to that page - although, technically speaking, a 404 'not found' notice is the correct response when someone tries to access a piece of content that no longer exists. That being said, if you delete an old product that you no longer sell but you have a newer version/model of that product in stock, it's a good idea to redirect to the new version as this will improve user experience on your website. You should never redirect to a page that isn't relevant to the piece of content the user is trying to reach - it makes for a poor user experience (more so than if you just showed a 404 page) and may put you in line for a rankings penalty on Google. Whether you're selling products or promoting your company's services, it's important to use good-quality images - and continue to use good-quality images when you upload new products or content. Nothing will put a potential customer off more quickly than a blurry, cheap-looking image. Producing your own good-quality photos is easy to do, and the best part is that you can be certain your images are 100% royalty free. If you want to get more from your website (whether through blog posts, search engine optimisation, or a whole-site redesign), get in touch with Designer Websites today to find out how we can help. You may have heard about movie Easter Eggs or video game Easter Eggs before, but have you ever heard about Website Easter Eggs? The internet is filled with copious amounts of weird and wonderful things, so it makes sense that there may be a few surprising features hidden in the depths of numerous different websites. If you're prepared to go on a different kind of Easter Egg hunt this holiday, you will find that websites all over the world incorporate these hidden gems and they are just waiting to be discovered. To give you a brief history of where website Easter Eggs came from, it all started back in the late 70's with a game designer. Feeling slightly bitter about the fact that back then game designers were not provided with any credit for their work, this particular game designer decided to hide his credit in the game Adventure, which was made for the 2600 Atari. He designed the game so that when a player performed a specific action at precisely the right moment, the screen would briefly flash the designer's credit. This came to be known as an Easter Egg because Atari then had to go on a type of Easter Egg 'hunt' to find the secret message hidden in the depths of the game. From this point onwards, you will be able to find multiple examples of Easter Eggs hidden in games, movies, and websites - mainly to amuse those who are now 'in the know'. Just think of Stan Lee's famous cameos in all of the Marvel movies. The Marvel follower base now awaits these cameos and rejoice whenever Stan Lee's couple of seconds appear on the screen. Website Easter Eggs offer the same effect. They outwardly show that the company has a sense of humour and are willing to go above and beyond to entertain their followers. If you know a bit about gaming, you may have heard of the Konami Code before. This code was created by Kazuhusa Hashimoto when developing the notoriously difficult arcade game Gradius. To have enough time to test the game, Hashimoto created a code which would provide power-ups whenever needed. That code was up, up, down, down, left, right, left, right, B, A. This code was allegedly designed only for Hashimoto, but he happened to 'forget' to remove the code when the game went live. Once players got wind of this cheat code, the age of the Konami Code began. 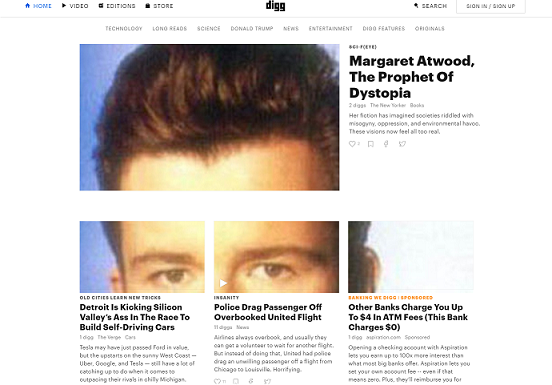 This is why Digg's website easter egg has great comedy value. They understand that the Konami Code is designed as a cheat code, but have managed to turned that on its head by Rick Rolling users whenever they attempt it. We recommend having your sound right up when you enter the Konami code on the Digg website! 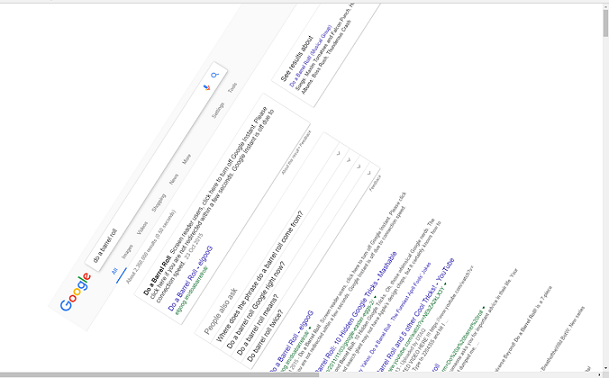 For our second website Easter Egg, simply type 'do a barrel roll' into google and watch as it follows your directions. This is one of our favourite google Easter Eggs, and google has quite a few. It should come as no surprise that Google has the monopoly when it comes to website Easter Eggs. Google is featured a couple of times on this list, but for a fully comprehensive list of all the google Easter Eggs, you can find hidden in the search engine here. Although the Star Wars hype may have died down, YouTube still has a nifty website easter egg stashed up its sleeve. Simply type 'use the force luke' into the youtube search bar and watch as everything on the page becomes controlled by 'the force'. By moving your mouse you can attempt to control the force, too. Another quirky website easter egg happens when you type in 'do the Harlem shake' in the search bar. We recommend headphones for this one too! Hold on to your hats Harry Potter fans, for Google Maps can now take you back in time with their website Easter Egg. 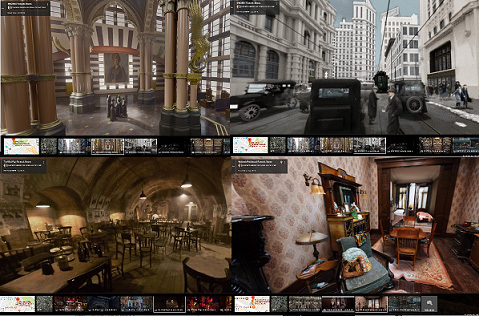 Google maps have partnered up with Fantastic Beasts and Where to Find Them to provide you with an inside tour of the 1926 wizarding world. All you have to do is type in 'Fantastic Beasts, New York City' and google maps will take you to all the focal points of the movie. You will be able to explore and have an inside look at MACUSA (Magical Congress of the United States of America), New York in 1926, The Blind Pig and Tina and Queenies home. It's pretty fantastic if we do say so ourselves. A great example of a company using a hidden website easter egg to display company personality is Wistia. 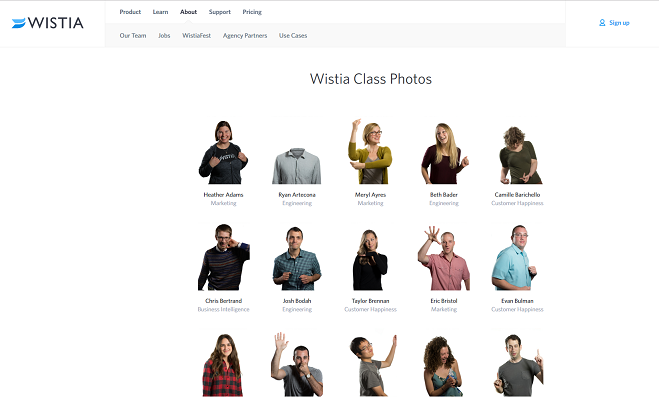 On the Wistia 'about' section, you will find the 'Wistia Class Photos'. On this page, type 'DANCE' and click enter then watch as the team proceeds to dance to some classic jazz music. If you're ever feeling bored, just remember that google has this clever little website Easter Egg just waiting to provide you with entertainment. All you have to type into google is 'I'm feeling curious' and google has a widget installed to provide you with a multitude of interesting trivia, ready for you to whip out at all the parties you're invited too. Find out what a heard of unicorns is called or the book the statue of liberty is holding with this useful website Easter egg. 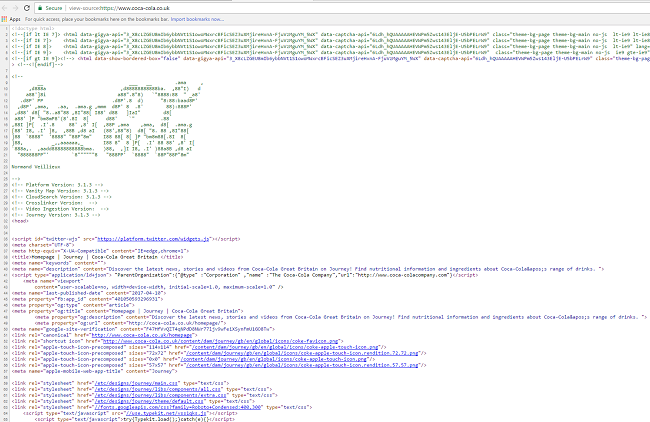 Some companies also have website Easter Eggs embedded into the very code of the website. This is because they are aware that many website developers will look at a website's source code to see how specific features were done. With this knowledge, coca-cola has inserted a little nod to anyone who may be looking at their code by inserting the coca-cola logo directly into the source code. To see this, just go onto the coca-cola home page, left click and click 'view page source'. As you can see, most of the biggest websites have got in on this website easter egg craze. Even Buzzfeed have incorporated the Konami code into their own website. 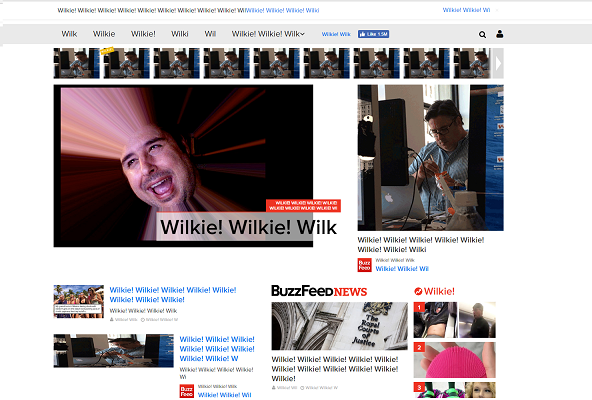 Just press up, up, down, down, left, right, left, right, B, A and enter on the homepage and all of the text will change to 'Wilkie!' with a picture of BuzzFeed's chief of technology officer, Mark Wilkie, eating Cheetos with chopsticks. We think this one may be more of an in-joke, but it still shows the great company culture BuzzFeed have. So, we hope you enjoyed our website Easter Egg hunt. If you know of any others or want to let us know your favourites, either tweet us or leave us a comment on any of our social media platforms. Have a great Easter! Google's featured snippets have been around for a little while now, and they're appearing in SERPs more often than ever before. For site owners, they represent a significant organic exposure opportunity; however, many people right now are unaware of the value of ranking as a featured snippet and unsure of how to do so. In today's blog, we're going to show you how you can obtain a featured snippet for your site - before that, though, let's take a quick look at what exactly a featured snippet is. 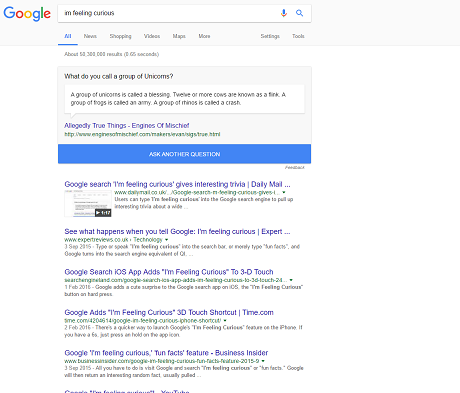 When you type a query into Google, a featured snippet is the short answer (or summary of an answer) that sometimes appears at the top of the results page. A snippet's content is extracted directly from the source website, and each snippet includes the page title and URL of the web page it's drawn from. Why should I care about featured snippets? Because they will get your website seen and drive lots more traffic to their source pages! Featured snippets tend to appear above all other organic results, meaning that even if your website isn't rank #1 for a specific keyword, you can still show up ahead of your competitors by securing a featured snippet ranking for that search term. Because Google is extracting the important part of your content and displaying it right there in the SERP, you might expect your click-through rate to drop when your content is used for a featured snippet. However, featured snippets have actually been shown to boost CTR, even when the source URL already held the #1 organic position. The first thing you'll need to do is perform some keyword research and identify some questions that are a) commonly typed into Google, and b) relevant to your website. These questions can be implicit or explicit, but they need to be too complex for Google to answer using simple public-domain data from their Knowledge Graph. For example, Googling 'how old is Theresa May' won't produce a featured snippet because Google can answer that one by itself; however, Googling 'who is Theresa May' forces Google to pull a more in-depth answer from a third-party source, resulting in a featured snippet. You may want to look for queries that already have a featured snippet in the SERP; if the current snippet is poorly-written or doesn't really answer the question properly, its spot should be fairly easy to steal. If a question is not currently showing a featured snippet result, this may be a sign that Google does not consider a featured snippet necessary for that query. Once you know which queries you wish to feature as a snippet for, it's time to re-format your content in order to optimise it for...um, snipping. The format and language of your content is very important - when trying to achieve a featured snippet, you need to make sure that you use phrases and terms a little more strategically than you might in other pieces of writing. This is because Google is far more literal with these types of queries than usual; for example, if you were to Google 'how to make scrambled eggs', you will likely be shown an article whose title closely mirrors that specific query, and not something like 'scrambled eggs for dummies'. You also need to make sure that the format of your answer matches the format of the snippet you wish to rank for. There's no point writing a regular ol' paragraph of text if the featured snippet you're trying to replace is a table of information or a bullet-point list of ingredients. It doesn't really matter where on the page your answer appears as long as your content is structured correctly and you're providing a clear and concise answer to the query that Google can easily lift out and display in the SERPs. "There are many ways to tell a cake from a biscuit, but the most important difference is that cakes get harder as they go stale, whereas biscuits become softer." Once you've written the page that will hopefully rank as a featured snippet, read through it and try to identify the key sentence(s) that Google will be able to provide as a quick answer. If that portion of the article doesn't exist, you won't get the snippet. Don't forget to check the existing snippet for the keyphrase you've got your eye on - if the current snippet is a table or bullet-point list, you probably won't be able to usurp its throne with plain text. You'll also want to use keywords judiciously throughout the rest of the page - for instance, including the phrase 'what is the difference between a cake and a biscuit' in your page title tag and H1 heading will greatly improve your chances of getting that featured snippet (and indeed of ranking for that term at all). You've been working hard and you've finally gained a featured snippet - well done! Now you can relax and take it easy, right? Wrong - the battle is still on! The websites below yours will probably attempt to steal that coveted spot from you, so how can you stay on top of the heap and ensure that your featured snippet keeps showing up? The answer is that you need to get people actually engaging with your snippet. The organic ranking and format of your content aren't the only factors to think about; engagement and click-through rates also play a role in snippet selection. By ensuring that users are engaging with your snippet - that is, reading it and clicking through to your actual website for more information - you should be able to hang on to your featured spot indefinitely. Need help driving organic traffic to your website? Get in touch with the Designer Websites team today - our SEO experts will be more than happy to assist you! Why is Video Important for Digital Marketing?